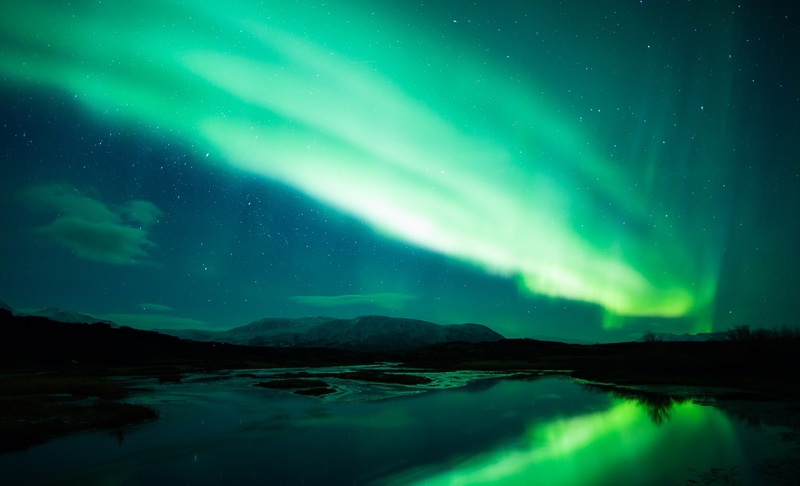 Experience the Northern Lights in the outermost regions of Finland and Norway – Saariselkä to Tromsø including an expedition to the North Cape Plateau. 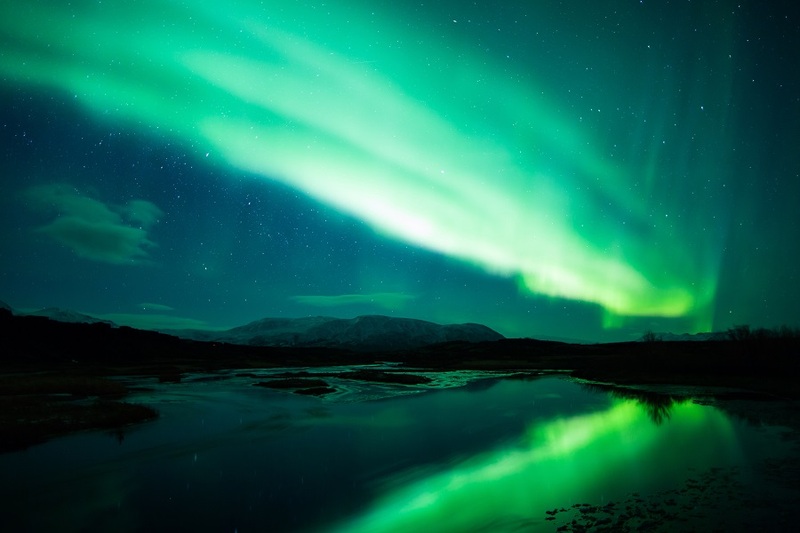 This tour will give you the best chances of hunting the Northern Lights in many different locations and environments. 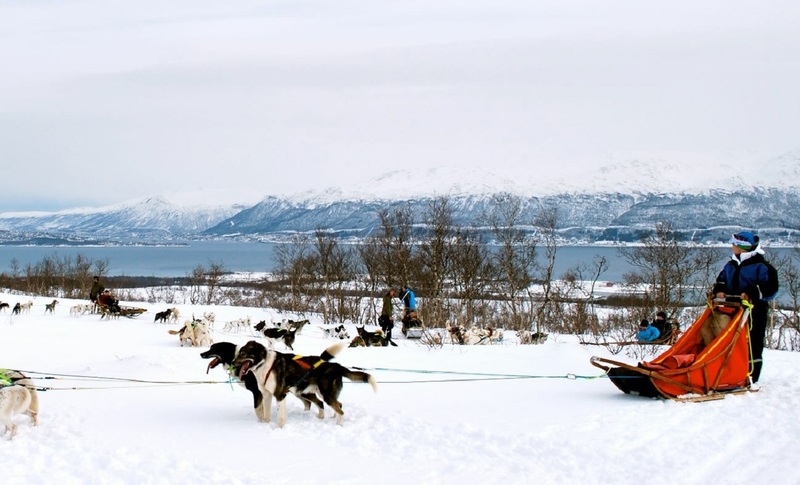 Along the way you also have the opportunity to try a variety of winter activities: Husky dog sledding, reindeer safari, overnight stay in a snow hotel, snowmobiling and much more! 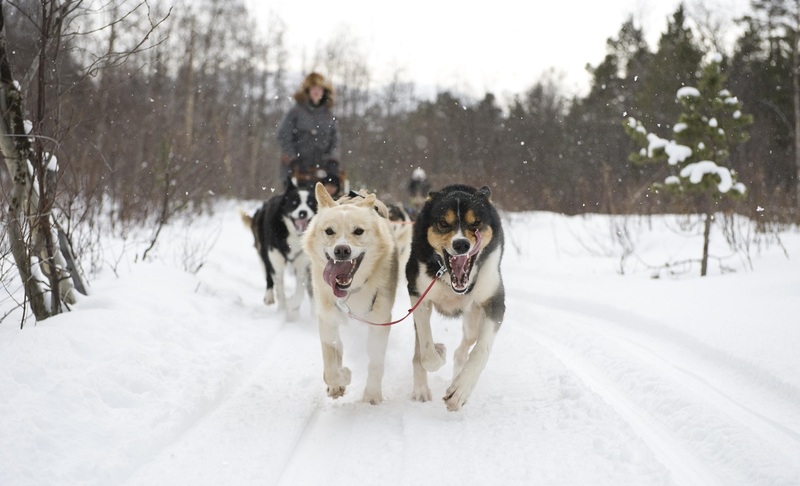 Choose from a variety of winter activities such as dog-sledding, snowmobiling and reindeer safari! Welcome to Ivalo airport. You will make your own transfer arrangements to Saariselka (approx. 30 mins from the airport) and the remainder of the day is spent at your leisure. In the evening, the tour leader will meet with you for dinner. Today you will enjoy a husky safari through the snowy forests and fells. Driving a team of huskies over the white, shimmering fells is an experience you will never forget. 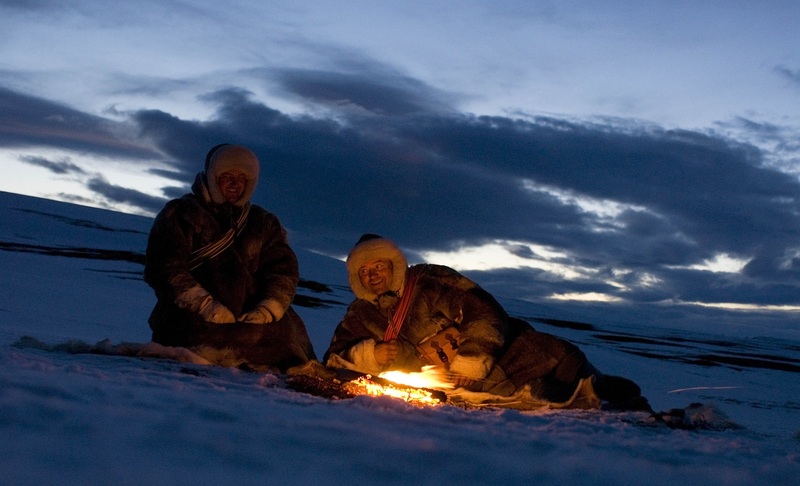 In the evening you will visit an Aurora Camp by one of the local lakes. Here you warm up in a cozy hut by the fire, enjoy a warm drink and prepare a traditional Lapland midnight snack, and if lucky and the sky is clear, experience the fascinating Northern Lights. Morning departure by private coach, via. Inari, where a stop and entrance to the Siida Sami Museum is included. 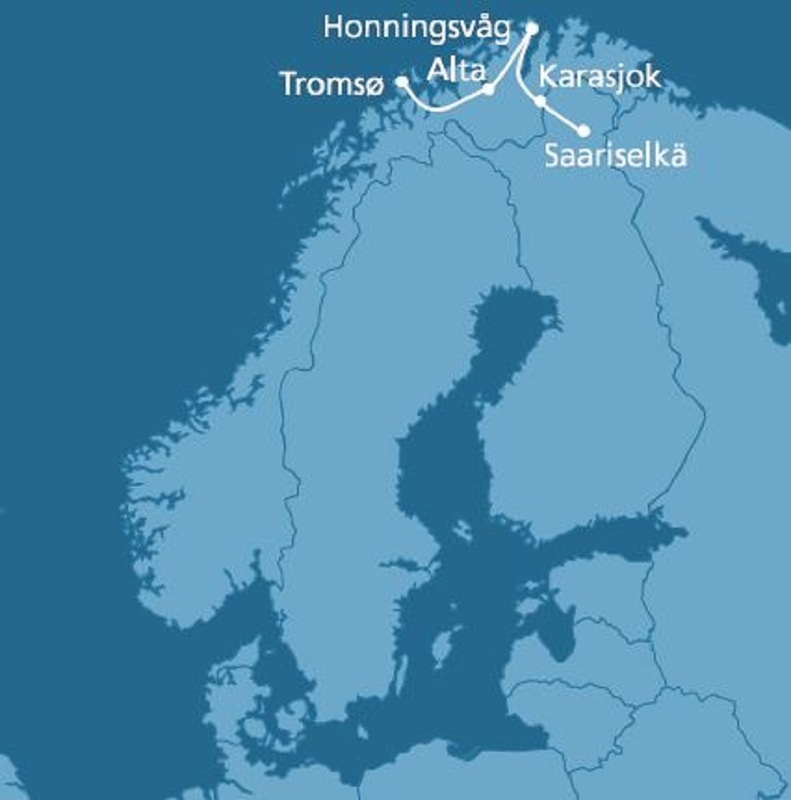 Continue north west and later crossing the border to Norway , and shortly afterwards arriving in Karasjok, the Sami capital, with strong ties to the Sami culture, a home of the Sami Parliament, “Samediggi”. Early morning departure and the journey continues North, bound for the North Cape. Travelling through the North Cape tunnel we reach the Magerøya Island on which the North cape is situated. The North Cape cliff itself will be visited today (subject to weather conditions). Today head south, and travel back along the Porsanger fjord, bound for Alta. “The Northern Lights city of Norway”. In the afternoon a visit to the Alta Museum to see the expositions about the local history of Northern Lights. The remainder of the afternoon evening is free, and why not try your luck and join in on a local Northern Lights safari, in and around Alta. In Alta, you may choose to upgrade your overnight stay to the Sorrisniva Igloo Hotel. Today, drive along the Arctic fjords bound for Tromsø, the former starting point of many North Pole expeditions! The afternoon is spent at your leisure before the evening Northern Lights Safari begins. Today, you are welcome to depart at any time onwards to your next adventure! This is a small group tour with a maximum of 20 passengers. The following departures are operated with bilingual tour leader, in English and Spanish or Portuguese: 19 Jan 20 & 23 Feb 20. Arrival and departure transfers are not included in the package price. Please ask our consultants who can advise you on the best mode of transport for you to reach your destination.